Meet Me on Vacation | Connects like minded people prior to travel. Meet Me On Vacation (MMOV) is dedicated to enhancing the vacation experience. They help singles, couples, families, and groups find people with similar interests and meet like minded people by providing a platform to contact others online prior to vacation or business travel. Same Place. Same Time. 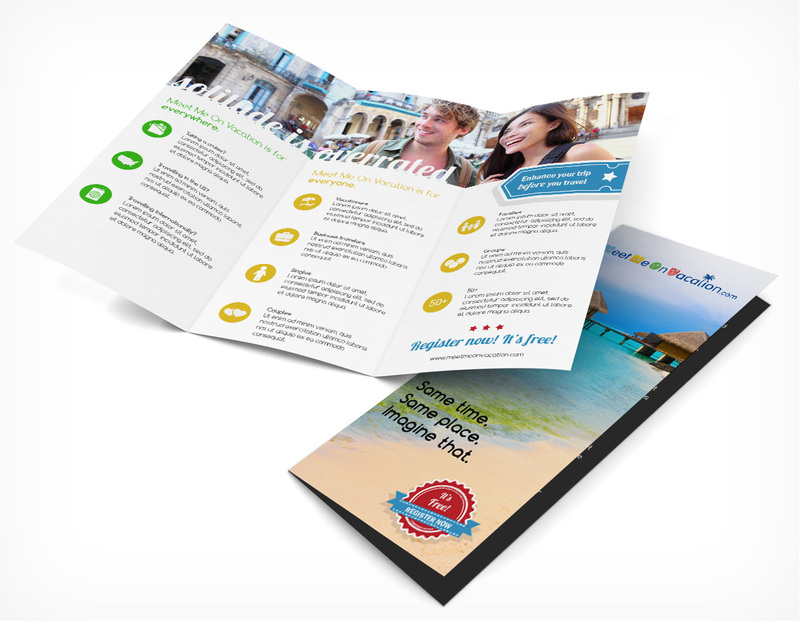 Meet Me On Vacation hired dystrick to create a series of print and digital ad campaigns focused on signing up new users. The ad campaigns ran on radio, print, digital along with gamification for social media. 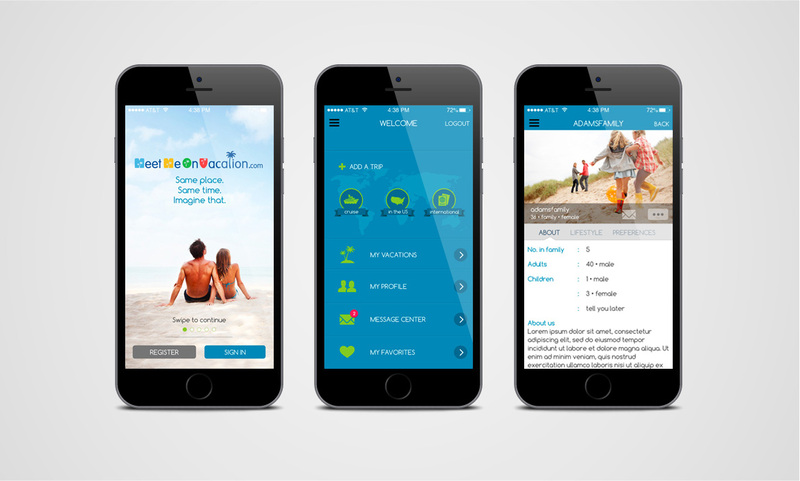 In addition we created an app to boost repeat visits, increase engagement and enhance relationships among users. Contact us for more information. 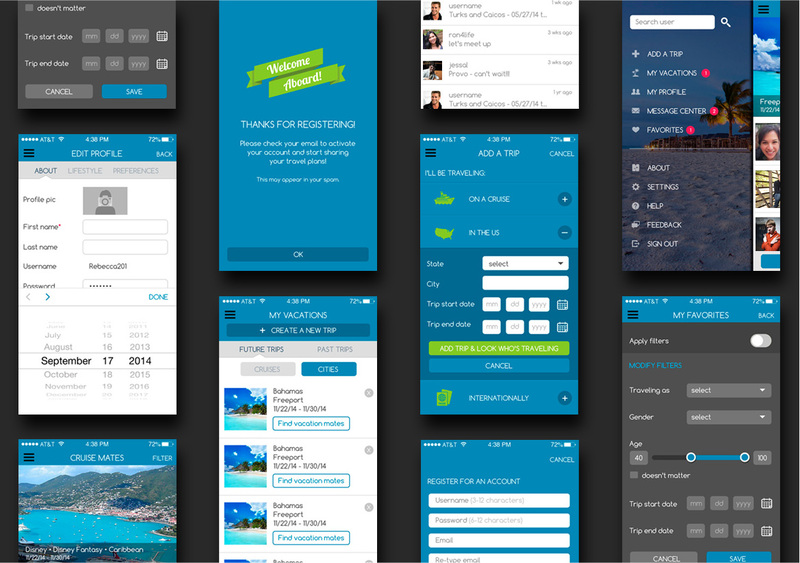 iOS and Android app ui/ux & development. Each mobile app screen is unique and user friendly. Print collateral piece for tradeshow events & marketing.